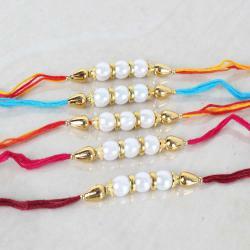 Raksha Bandhan to us is an excuse to once again letting our siblings know how special and loved they actually are even though we've all got busy with our own lives. 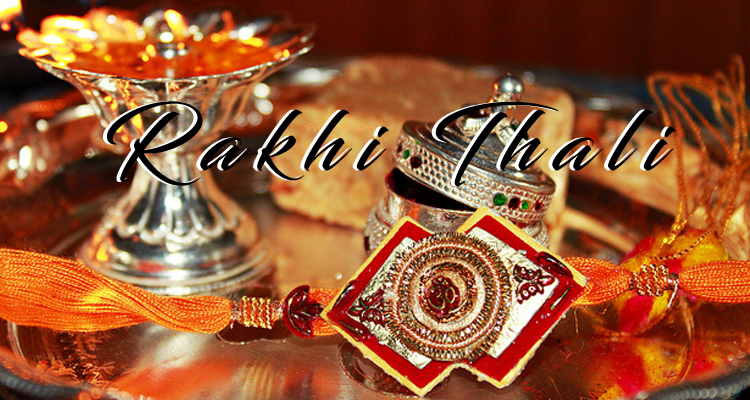 The occasion was mostly an annual fiesta at home for most of us and in today’s fast paced and isolated times, we do find ourselves missing the same very much! 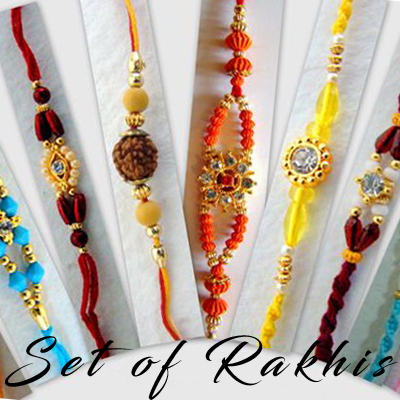 We suggest you opt for a special surprise for your siblings on the auspicious day of Raksha Bandhan which is around the corner. 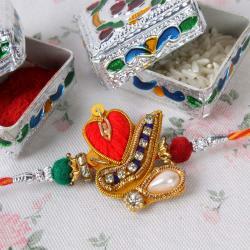 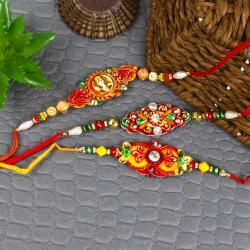 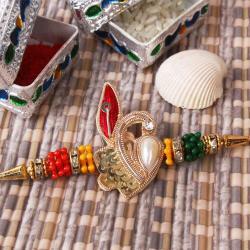 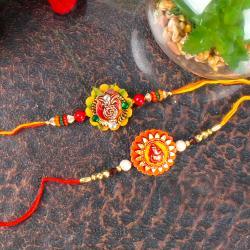 Sisters can now buy beautiful Rakhis and accompanying surprises for their dear brothers. 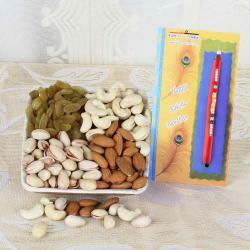 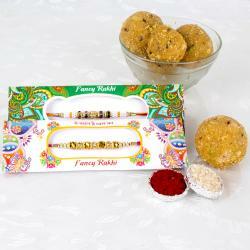 Even if you are far away from your brother on this day, you can still make his day with your Rakhi gifts. 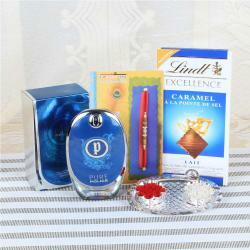 We have a variety of options in store that you will absolutely adore! 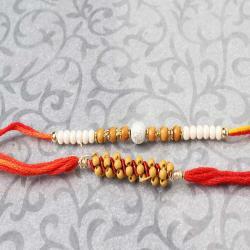 Brothers are keepers for life and guardian angels that every girl loves to have. 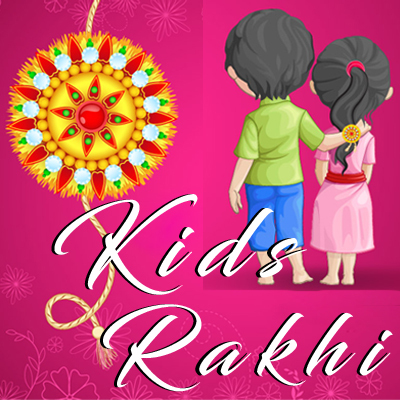 Brothers are partners in crime, protectors, instigators of hitherto unknown maternal instincts, playmates and the best friends ever! 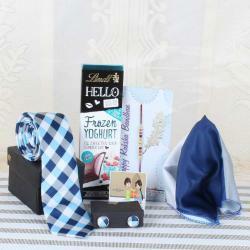 This Raksha Bandhan, your brother definitely deserves a treat and we have the widest delivery network, customized solutions and novel gifts to make that happen. 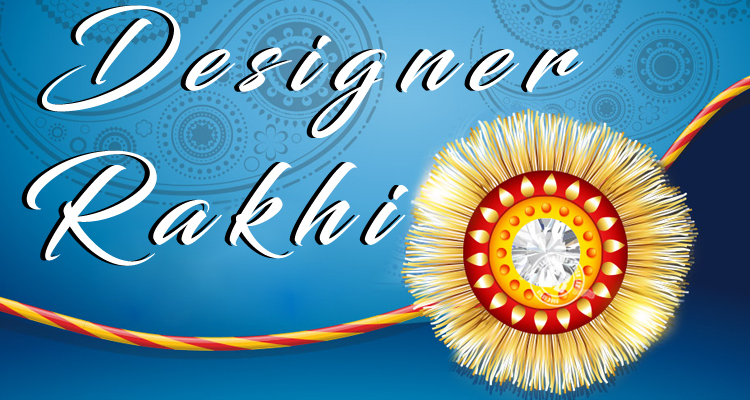 In 2018, Rakhi will be celebrated on Sunday, August 26. 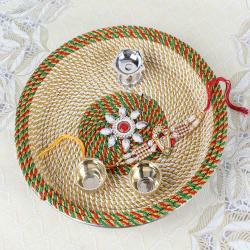 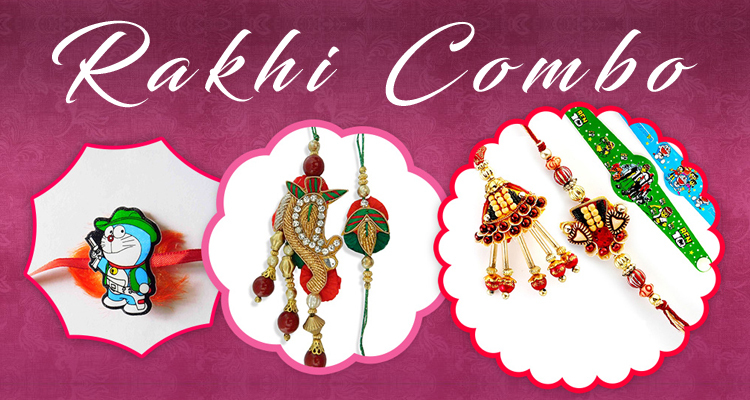 Rakhibuy.com is India's leading Rakhi store. 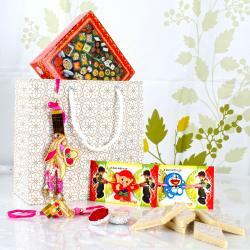 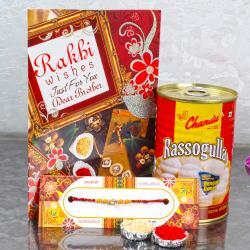 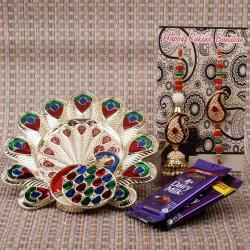 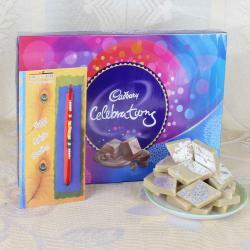 We have a wide range of Rakhis, Rakhi Hampers with numerous colors and multiple designs.